Pretty in Pink with this bow! 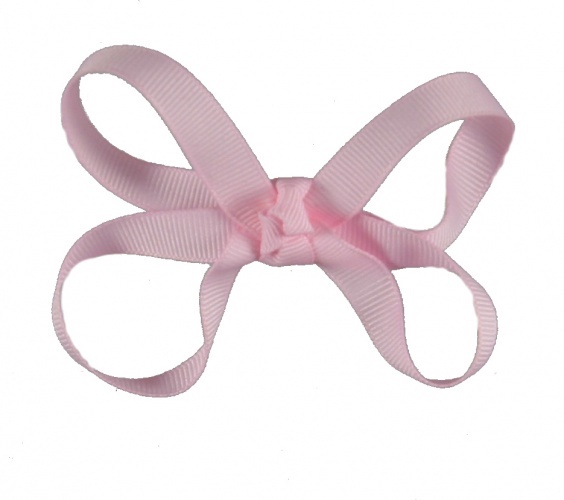 This light pink bow has 4 large loops and French knot in the center with the same 3/8 inch pink grosgrain ribbon. The loops stand out really nice, this size bow is perfect for babies and little ones. Or great for a small look on the side of the face for older girls. Great pink color and can easily match plenty outfits.